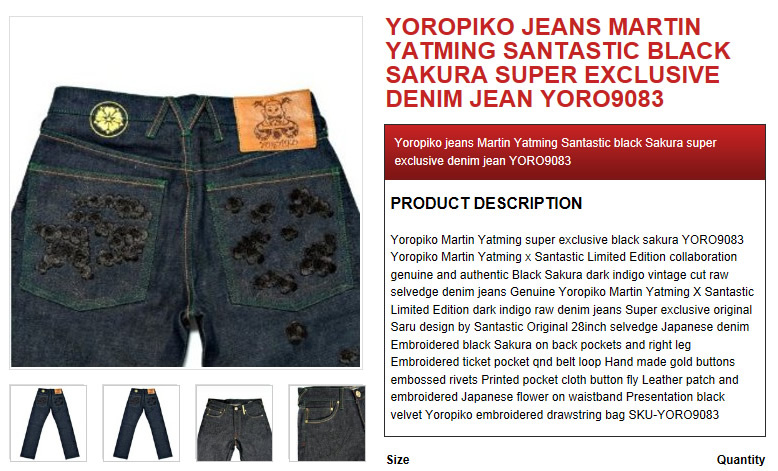 Yoropiko Jeans – Kitmeout Designer Clothes – Fashion Blog & Fashion Forum. 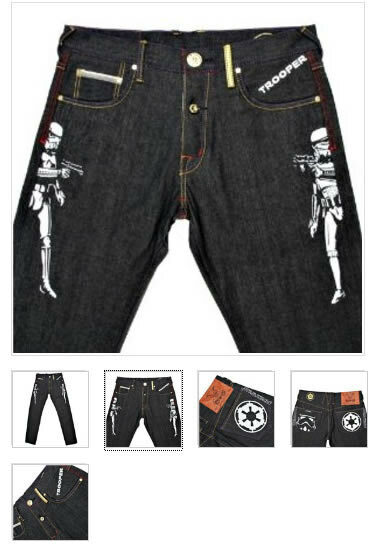 If you’re looking for something exclusive these Yoropiko Star Wars Jeans are worth a butchers. Available at Togged. Save £120 notes! Today only Cyber Monday Flash Sale, 30% OFF the www.rmcjeans.com website. Brands include RMC, MKWS and Yoropiko. 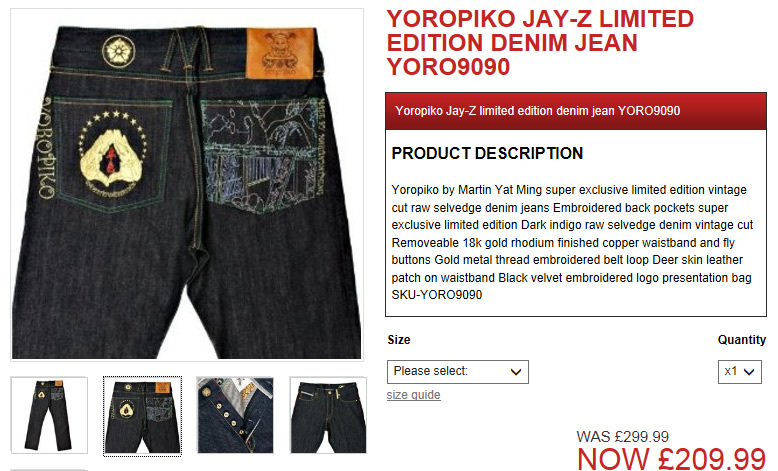 Take a butchers at these Jay-Z Limited Edition Yoropiko Jeans now ONLY 209.99 quid or these Santastic Black Sakura Jeans now a Santastic 335.99 quid. 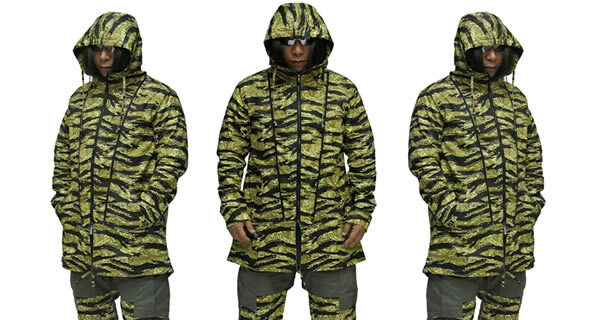 Take a butchers at the Autumn/Winter 2013 RMC Martin Ksohoh traditional Bandanna Print Collection. 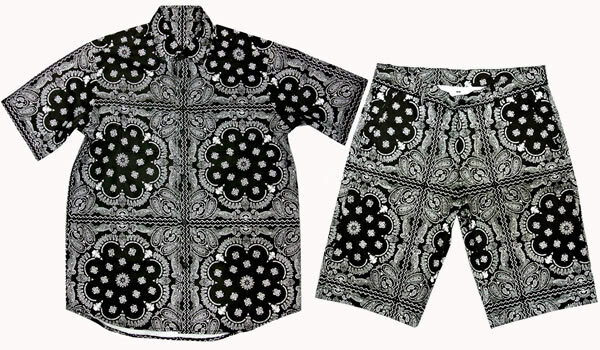 The Bandanna print short-sleeve shirt and shorts have a design more commonly seen on a bandanna. Take it, Twisted it, Get funked! 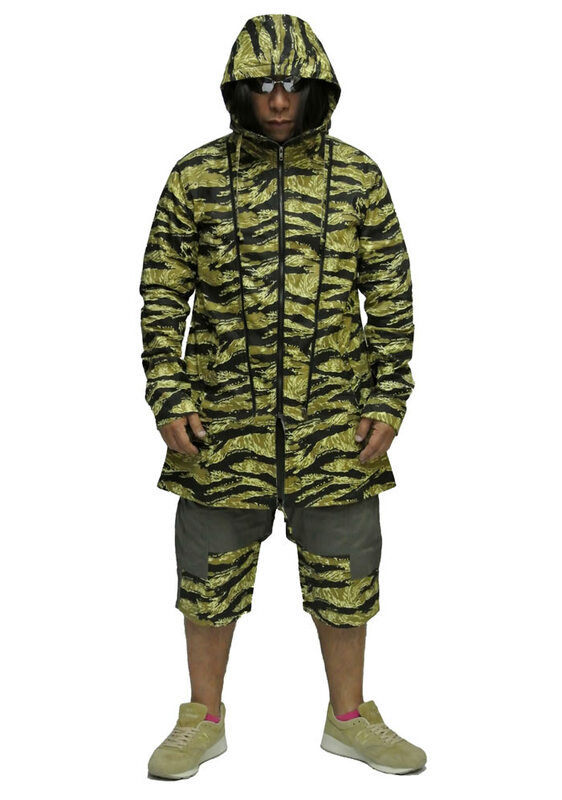 For Autumn/Winter 2013 take a butchers at this MKWS “Survivor Game” (Tiger Camo) Hooded Jacket & Shorts Combo. Blinding! YOROPIKO, Japanese word, means “teach me more, please!” A luxurious label developed in 2007 by Martin Yat Ming, the designer of RMC Martin Ksohoh. On YOROPIKO, the button is the distinct feature which is specially tailor-made in a very limited quantity. 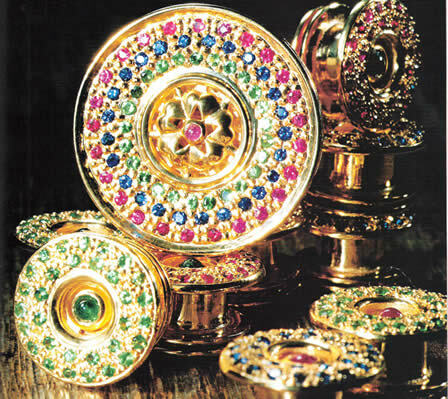 Jewels include ruby, sapphire, beryl, diamond, silver plus gold finishing. This unique and intelligent design puts an elegant and brilliant ornament on the casual but chic Yoropiko jeans. Nowadays most leading denim brands seem to seek the washed, soft and stylish denim whereas Yoropiko Tailored Denim by Martin Yatming is reverting to the good old days, which is “art vintage” selvedge denim. This style begun with “RMC” jeans which was the beginning of the “made in Japan premium denim hype” in the world market. The designer of RMC, Martin Ksohoh (Martin Yatming above) was born and raised in Hong Kong and now has a house in West Japan (Okayama) city, where he has become the world’s hottest denim designer. 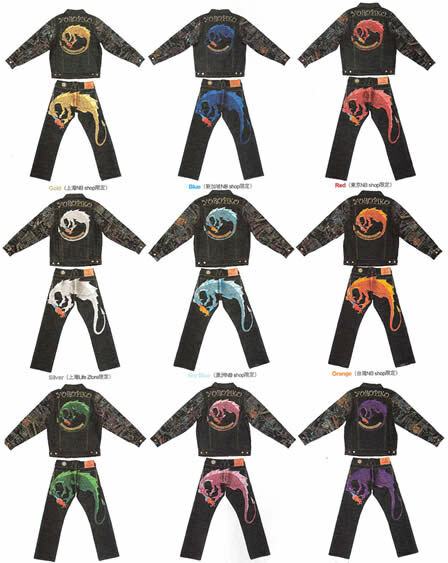 In 2000, Martin Yatming started to make his idea for a new denim brand RMC. For him denim is an art and very close to human skin. Meaning that it has to be artistic but the same time very comfortable to wear. He came up with an idea of making the back pockets to express the art piece in embroidery. After many years of research and development, he invented a technique to make the pockets soft enough for people to wear comfortable after embroidery. He chose natural colour cotton to be the high quality indigo fabric, then use KIMONO threads for the embroidery for the back pockets. His art is inspired from the history of the ORIENT, and his challenge has been to make the details of the art come to life on denim. May7ven slips into a pair of men’s Yoropiko Hungry Dragon jeans for her latest hit, Hands Up. Anyone up for it? 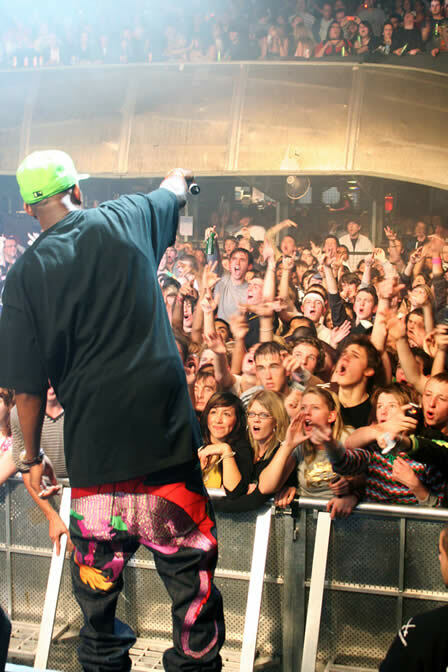 Dizzee Rascal rocks Yoropiko’s Hungry Dragon jeans on stage at the Astoria. S.A.S. 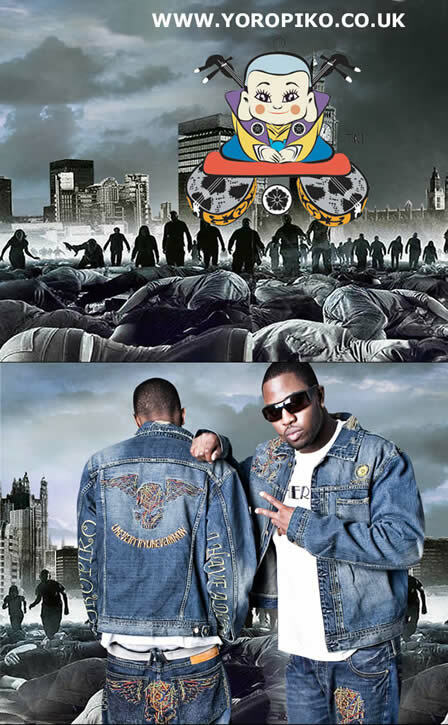 (Streets All Salute) brothers Mega and Mayhem wear Yoropiko on their new CD cover. The UK Dip movement was directly spearheaded by the two North London brothers and, according to them, was entirely funded from their own pockets as well. And as the North American Diplomat’s home city is engulfed in clouds of controversy, it’s no surprise that the duo have decided to embrace their Eurogang brand and keep things moving smoothly. 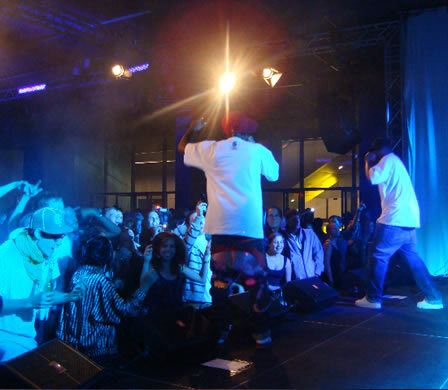 Top UK Hip Hop Artist, Dizzee Rascal is pictured here wearing Yoropiko Limited Edition jeans in Sweden at the opening of the uppsaala concert hall. Dizzee Racal has been Nominated for 4 Awards at this year’s MOBOs, including Best UK Male. 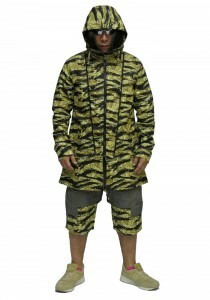 This Martin Yatming x Santastic Limited Edition collaboration has to be one of the hottest of the year! Here’s a quick shot of the Yoropiko Jeans collection colourways. This collection is ultra-limited and the attention to detail and embroidery is simply unheard of in the denim world. These jeans are true collectors items. Yoropiko Jeans take “attention-to-detail” to the next level. Yoropiko jeans come with gold buttons as standard. For a little extra you can buy a set of additional gem stone buttons for these unique jeans, which you can even use as cufflinks! The gems offerred vary from rubies to diamonds. Each set has 5 buttons and you’re able to buy different sets to add even more style to your denim.